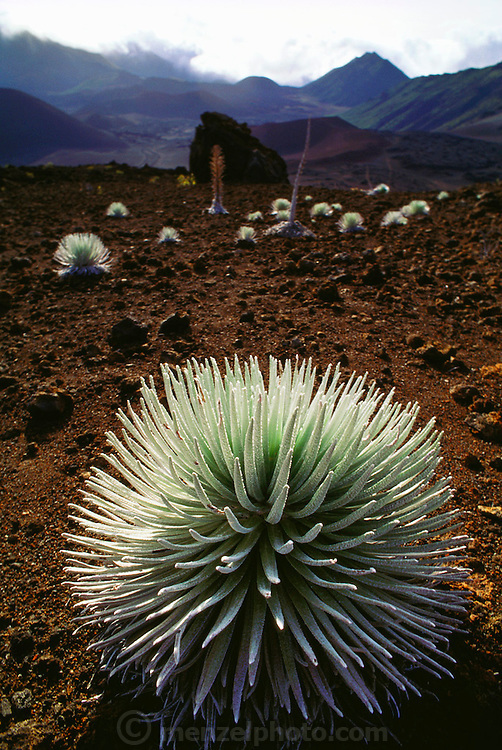 Silvresword plants in the crater of the Haleakala Volcano on Maui, Hawaii. USA. These remarkable plants?which bloom only once in thirty years and then die?were nearly wiped out by goats and vandals; they then made a comeback only to face a new threat: Argentine ants. This introduced alien ant species eats the larvae of the native Hawaiian insects, which pollinates the plants, threatening the future survival of the Silverswords.